Chickens, frostbite, and cold. These three things don’t necessarily all mix well, do they? What exactly is frostbite & how do I know if my chickens are effected? Yes, chickens can get frostbite, and yes, they can spring back from it. Every year on our farm, we have to tackle frostbite on combs, wattles, and the occasional toe. You’d think living in the South, we wouldn’t have chickens getting injured from the chilly temperatures. It’s typically in the 30s and 40s here in the winter! It’s not very much fun, but it’s just one of those parts of chicken ownership. And honestly, we’ve not had any chickens effected long term by it. 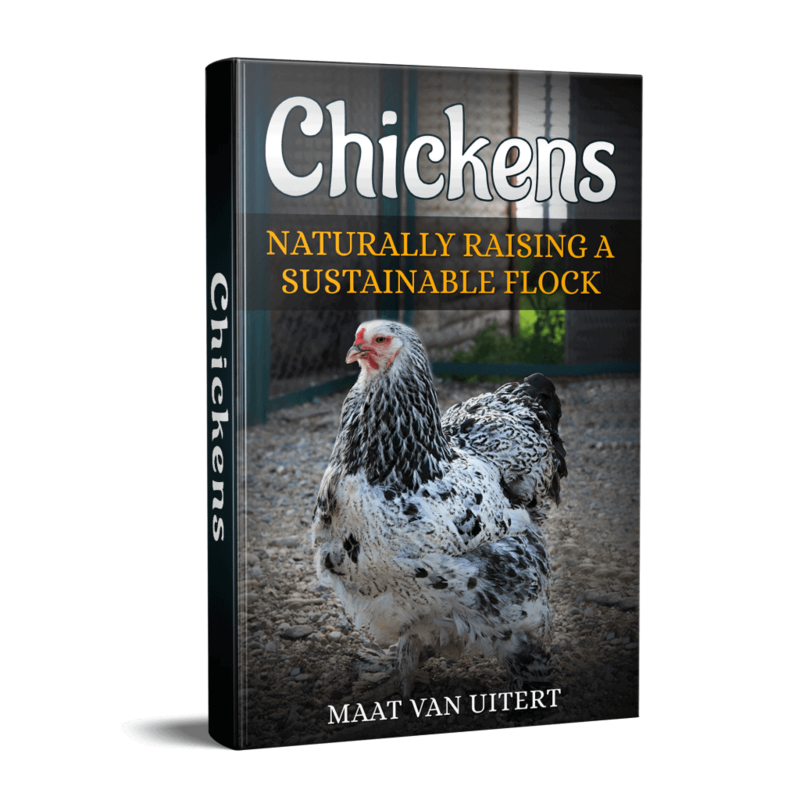 This article is an excerpt from my book Chickens: Naturally Raising A Sustainable Flock You can buy it on Amazon or directly from me (and get the digital version free). Most of the chickens just go on about their business. If your chickens free range and aren’t kept in a coop during cold temperatures, they’re even more susceptible to frostbite, so it’s important to observe them daily. In this article, I’m going to show you what frostbite in chickens looks like, when to call the vet, and how to help chickens when they do become victims of frostbite. The information below is for informational purposes only and isn’t meant to treat, diagnose, or cure. Use your best judgement and always seek a vet’s advice first. It’s hard to give an exact temperature when frostbite is an issue for chickens. Just’s just going to depend. In our area, it’s very cold temperatures of below 20 degrees where we’ve had the most trouble. With frostbite, there’s an extra quirk. It’s not just about cold temperatures. Unlike conditions like hypothermia, frostbite occurs not just when temperatures are very low, but more often when there’s cold temperatures plus moisture. Yep, good ol’ moisture. Those extra bits of water droplets freeze on the skin, causing more damage than cold temps alone. Which means that when our chickens drink water (aka dunk their wattles in the water), and can’t get dry (or run away when we try to help them dry), their tiny bodies are more susceptible to frostbite. The first thing to remember about frostbite and chickens is the condition doesn’t always present in a dramatic way. It might just be a spot here or there on the comb, rather than effecting the entire area. And it can also be extreme, with blackened areas that have clearly gone necrotic. It’s easy to confuse frostbite with fowl pox since they can look similar from blackened areas, but it’s important to also consider the season. Chickens are unlikely to get frostbite in the summer, for example. Fowl pox, which also effects the combs and wattles, also looks more raised and scabby. It’s also possible to confuse frostbite with bumblefoot, since both can cause the pads of the feet to swell. While there’s varying degrees of frostbite, what I’ve observed in chickens is that their skin will turn either white or black (depending on severity), and in extreme cases turn black, harden, and start to curl. 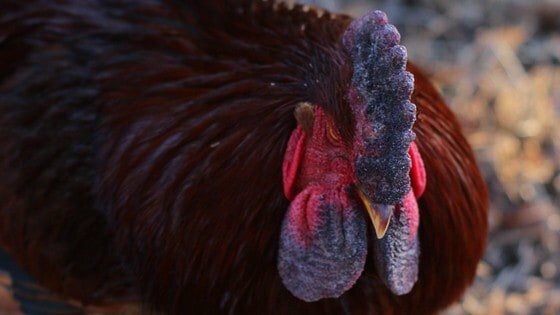 At the point of hardening and curling, it’s likely the skin on your chickens’ combs and/or wattles has died (confirm this with a vet, however). Just remember that if this happens to your chickens, it’s not the end of their lives unless it goes untreated. In nearly all of the cases of frostbite we’ve had on our farm, it’s been mild enough that the skin returns to normal and the chickens are perfectly fine, although it can take a while for the skin to return completely back to normal – it’s been damaged after all! First, let’s talk about how to prevent frostbite because it’s relatively easy as long as you can catch your chickens. Petroleum jelly is approved by the Food And Drug Administration as a skin protectant, and that’s because – you guessed it – it protects skin. Basically, it acts as a barrier between your chickens’ body and the cold and/or wind. 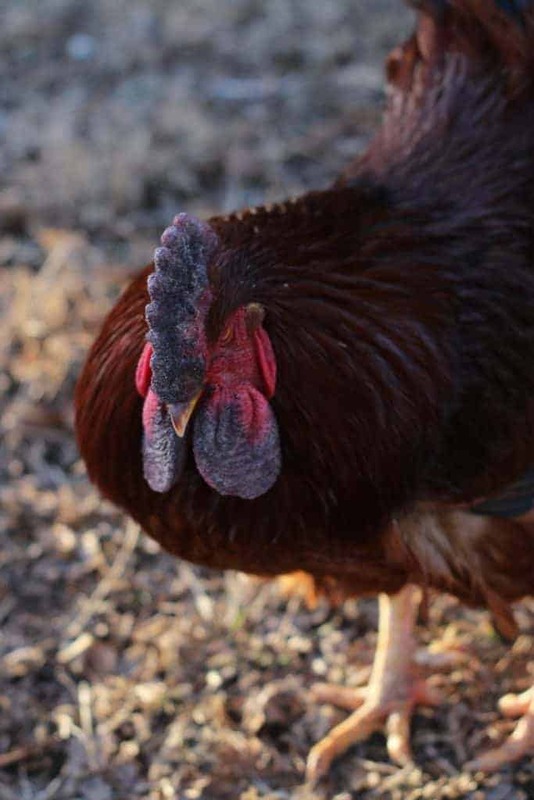 If your chickens drink, it will help keep water off their wattles, which also helps prevent frostbite. We apply it when we get cold snaps, and daily until the temperatures rise. In addition, keeping your chickens inside on particularly cold days or chilly, wet days will reduce the chances your chickens will suffer from frostbite. It’s generally a good idea anyway, since freezing rain can kill your chickens. If your flock keeps getting frostbite because they dunk their wattles in water, then you can change to a different type of waterer, or raise their water dishes off the ground. For feet, you can put straw on the ground in their coop and run, which is a great insulator. This is what we do on our farm. Use your best judgement to determine what’s best for your flock. 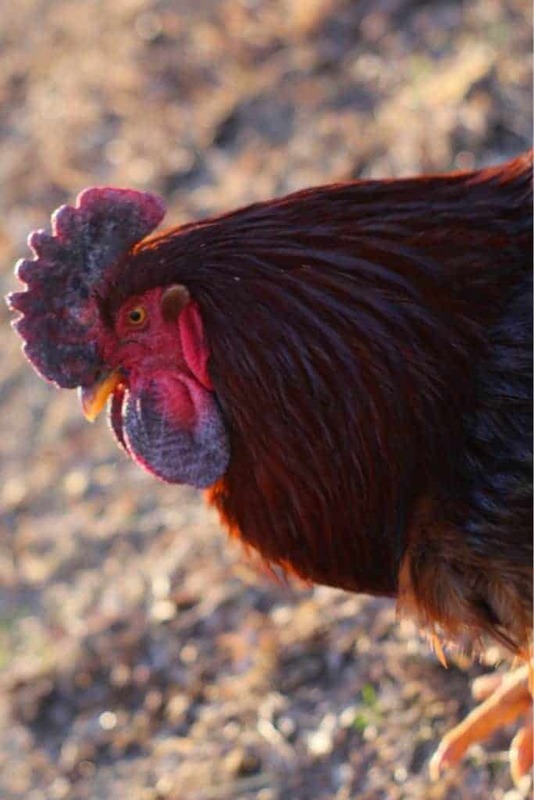 To help chickens effected by frostbite, first bring the area of concern (combs, wattles, limbs, etc) lukewarm water. It’s important not to warm them too quickly (which can cause nerve damage), so bring your chickens inside and allow them to get warm. For combs and wattles, you can apply warm water with a cloth until you see circulation return and the area feels warm or “normal.” For feet, you can place them in lukewarm water until you see circulation return. Apply an antibacterial ointment (natural or pharmaceutical) to help the skin become healthy and ward off infections. Place them in a crate in a quiet area with a towel, food, and water and keep them inside until the very cold has passed or your chickens seem back to normal. If the damage is severe, it’s best to consult a vet. Even a vet inexperienced with chickens can provide advice since the procedure won’t be that different than helping any other domestic animal. 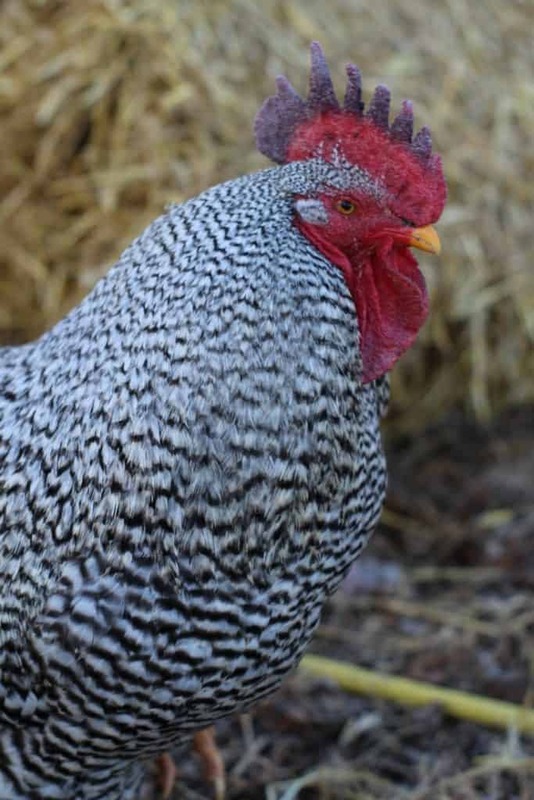 In my book Chickens: Naturally Raising A Sustainable Flock, I show you how to care for your chickens so they stay healthy, regardless of the season, and there’s detailed information about chickens, frostbite, and the cold. You can get your copy here.